And I’m not just talking about the debate surrounding the film’s perceived pro-torture stance. 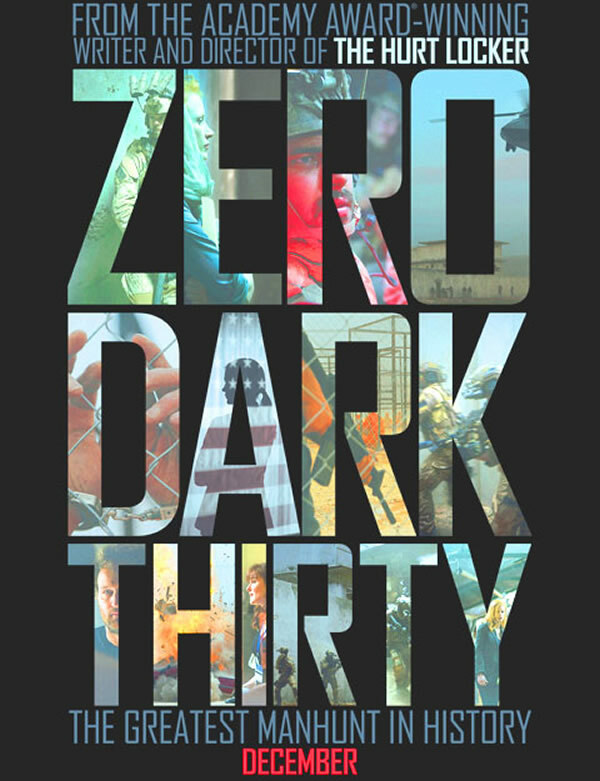 Zero Dark Thirty, Kathryn Bigelow’s follow up to the stellar Hurt Locker, is a film with an obscure center, one that suffers from an unfocused point of view. 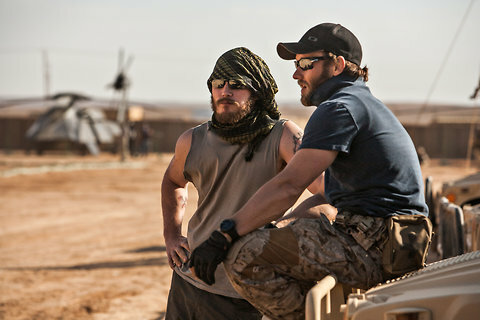 I’m a huge fan of The Hurt Locker, and was very interested in Bigelow and writer Mark Boal’s next project, which got a lot of attention and heat when what was then a movie about the fruitless task of hunting down Osama bin Laden suddenly became a movie about the successful mission to kill him after May 2011. There’s a lot going on with this movie other than its movie-ness—specifically about the access the CIA granted Bigelow and Boal and how that might have affected the film’s “positive” portrayal of torture as an interrogation tactic—but first we’ve got to talk about the movie itself. Zero Dark Thirty is too well made on a technical level to call it a bad movie. Certain technical aspects are actually really, really good. Alexandre Desplat’s score, for instance, is great, as is Greig Fraser’s (Snow White and the Huntsman) cinematography. And Bigelow’s direction, now famously snubbed by Oscar, is top-notch, though she isn’t quite as focused or sharp as she was for The Hurt Locker. 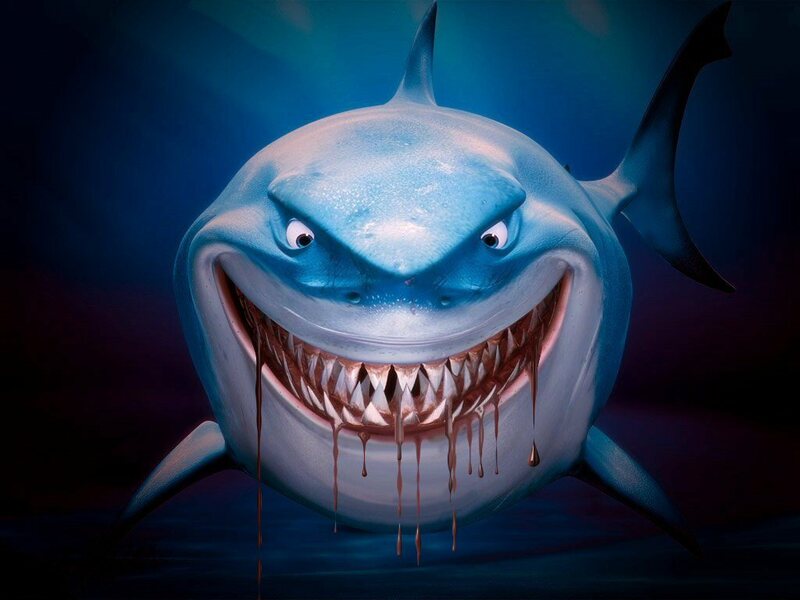 In that film, Bigelow’s perspective was very immediate and close, but in ZDT we’re dealing a little bit at a remove, and there’s less urgency for it. 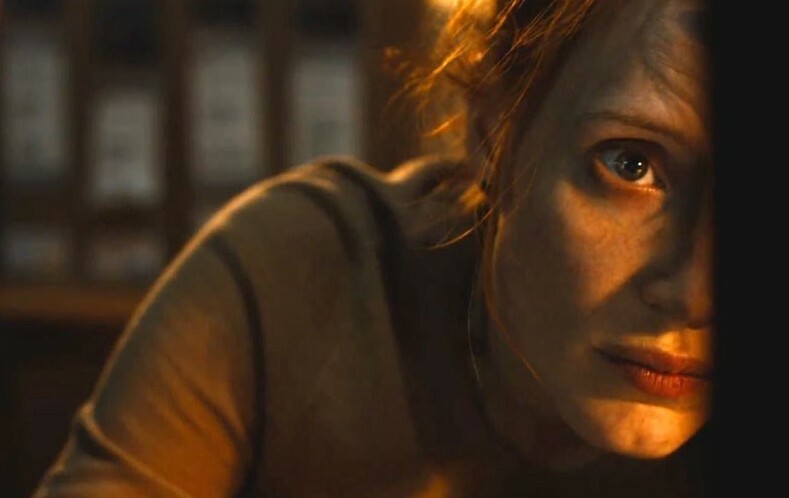 We see Maya (Jessica Chastain), the CIA operative spearheading the effort to find bin Laden getting more and more wound up, but we don’t feel that urgency ourselves, whereas in The Hurt Locker we were strung out and anxious on behalf of William James. It’s nothing to do with performance—Chastain is in top form—it’s just the camera seems so far away. We’re looking down, not in or through. The real problem with ZDT lies not in Bigelow’s direction, but in Boal’s script—there are no characters. There are just walking exposition dumps, people who enter and exit to spout the necessary information in order advance the plot. Two-thirds of the characters don’t even have names, and of the ones that did get named, only Maya is memorable, and then because she’s onscreen for 95% of the movie. A lot of the time they say people’s names like we’re supposed to be able to identify these characters but we’re given very little opportunity to make the connections. It’s the end of act one before we ever learn that Jason Clarke’s (Lawless) brutal interrogator is called “Dan”. Combined with a total lack of characterization—not even Maya, the protagonist, is given any development beyond “workaholic”—the parade of nameless, nearly faceless characters makes for a boring first and second acts. Which is not to say the actors don’t do good work. Maya is very intense, and Chastain effectively communicates her increasingly wound persona (is it Best Actress work? I don’t think so, based solely on lack of any second-gear or shift in emotions, which is Boal’s fault), and Jennifer Ehle (always and forever the Elizabeth Bennett of my heart) steals a couple scenes simply by being lower-key than Maya. Clarke is effectively scary, and Edgar Ramirez (Carlos) makes a believable field operative. He injects a little character into his otherwise bland role by suggesting weariness around the edges—he’s reluctant to risk his men chasing random leads—and you get the feeling he’s been in the field a little too long. But there are no character arcs anywhere to be seen, no sense of these people as people. With the exception of a couple exciting scenes in which something blows up, the first two acts are really pretty boring. But then comes the third act, when Maya locks onto the Abbottabad compound where she is convinced bin Laden is residing. Once she’s hooked up with the Navy SEAL team that will carry out her mission, ZDT kicks into high gear. The SEAL team is as short-changed as anyone else in terms of characterization, but at least here there is immediacy, danger and a sense of a real team who lives and dies together. The final half-hour of ZDT is spectacular, as tense and high-stakes as anything you could hope for, and even though we know how it ends, there is still plenty of suspense generated by watching the raid unfold. You could cut out a solid 30-40 minutes of ZDT and dedicate more of the remaining time to the SEAL team and this could have been every bit as involving and thoughtful as The Hurt Locker, but as it is ZDT is a rote procedural that closes with one hell of a bang. Bigelow didn’t need to recreate The Hurt Locker in order for ZDT to live up to expectations, but what The Hurt Locker had that ZDT doesn’t is a thesis. The Hurt Locker was based on the idea that war is a drug, and everything drove toward making that point. ZDT, however, lacks similar focus. As for the torture, it’s not like they’re reinventing the wheel. Perhaps this speaks to my own cynicism and callousness as a viewer, but nothing in ZDT was worse than, say, Casino Royale. And then there’s the relevancy of the information gathered through torture tactics. Some politicians would have you believe ZDT is a long commercial for the CIA’s detainee program, but really, the intelligence gathered through torture isn’t particularly useful. It’s not useless, either, but it isn’t the key to breaking the case. Maya only really starts to make hay on her manhunt when she begins wiretapping terrorism suspects. I’m not saying “yay torture!”, but neither is ZDT. It’s inconclusive at best. Zero Dark Thirty is a well-made movie with no real moral standpoint or even focused observer perspective on the events it depicts until the final act. 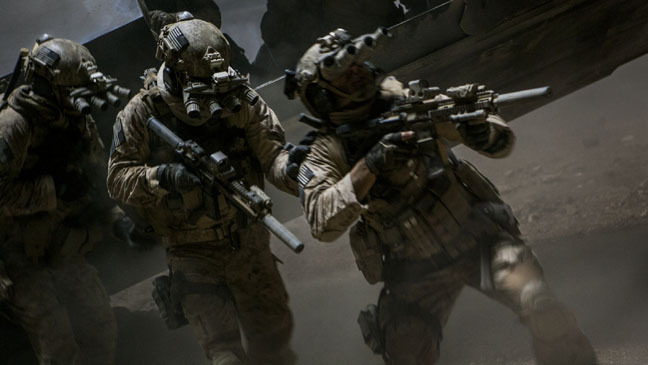 There’s next to no characterization, so you won’t care about anyone on screen, but the raid on bin Laden’s compound is a very effective and engrossing thirty minutes. It’s a mixed bag of a film, deserving neither the full extent of the criticism or praise being leveled at it. Nicely done although I don’t agree with all your perspectives. Might we say the ZD30 is The Hurt Locker turned inside out – sort of like reversing a sock. The Hurt Locker took us inside the techs and we were shown what makes them tick. They do their jobs and we learn about the process of the work, as well as something of the individual motivations. In ZD30 we learn nothing about the people doing the work aside from the fact that we do learn that they know and understand the hazards of the work. For Maya and Dan living in the hot zone – where your life could end at any minute once you strayed outsode of the office/embassay/safehouse/compund – is this not a similar ‘drug’ – the same as was for Renner in THL? At one point – Dan must cash out – and he says he’s going back to Washington – for ‘a normal job’. But Maya is on the job non-stop. We see nothing of her personal life. In my view, the lack of characters and character development is replaced by the work. Would it be better with more depth to Maya? Is it a film that fails to grip us because we don’t know about her? These are questions which every viewers can only answer for him or her self. There’s no right or wrong. Really enjoyed your review. I felt the same way and just didn’t know it. I would be so uncool in that situation. She’s one of the few I don’t think I could maintain calm around. Lizzie Bennett! It’s not much of a thesis, but an explanation. CIA agents aren’t allowed to let their families know what their doing. If ZDT warmed these characters up more (like showing Lizzie Bennett with these supposed three kids mentioned in the news report) the movie would be about that instead of the CIA business. Watch Covert Affairs if that’s what you’re looking for. Perhaps that is the point – CIA agents are so single minded that they, like the audience as guided by the director, totally forgets about family, friends, and real life outside the mission. And when the mission ends, you have no idea what to do with yourself. is it me or she closely resembles Meryl Streep? I rewatched Pride and Prejudice a couple of weeks ago and all i can think of (when not getting distracted by Darcy) was that she looks and acts like Meryl! She does! I think it’s her cheekbones/nose. I loved the movie though not as much as the Hurt Locker. I agree with you on your criticisms, particularly the lack of P.O.V. but that didn’t detract from my enjoyment of the film. To me it is a process film and character development was not that important. I also think that these people are their jobs in a way that is so consuming that they rarely have time to be real people away from work. The acting that was seen on screen was very good although Chastian really didn’t have much to do- again a deliberate choise of the script. I also thought some scene were too heavy handed and very obvious. As to Lizzie Bennet, can we discuss what a good actress Jennifer Ehle is? I was so happy to see her here and in Ides of March last year. I always wonder why she doesn’t work more.